The Sleek and sophisticated design of the KIA soul is what happens when you're not afraid to mess with the formula. The Soul's eye-catching exterior now has an interior to match. Your living room has some competition. The interior of the 2019 Soul is plush, quiet, and totally tailored for comfort. 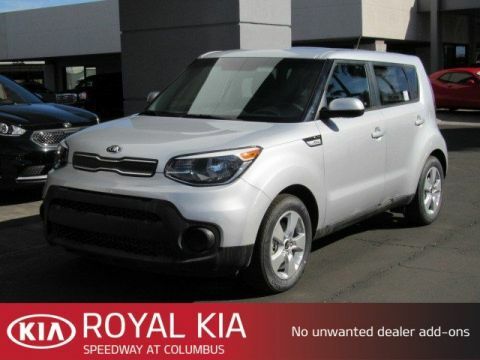 Come down to Royal Kia and take home your new 2019 Kia Soul and stand out from the crowd with this amazingly crafted, unique vehicle. 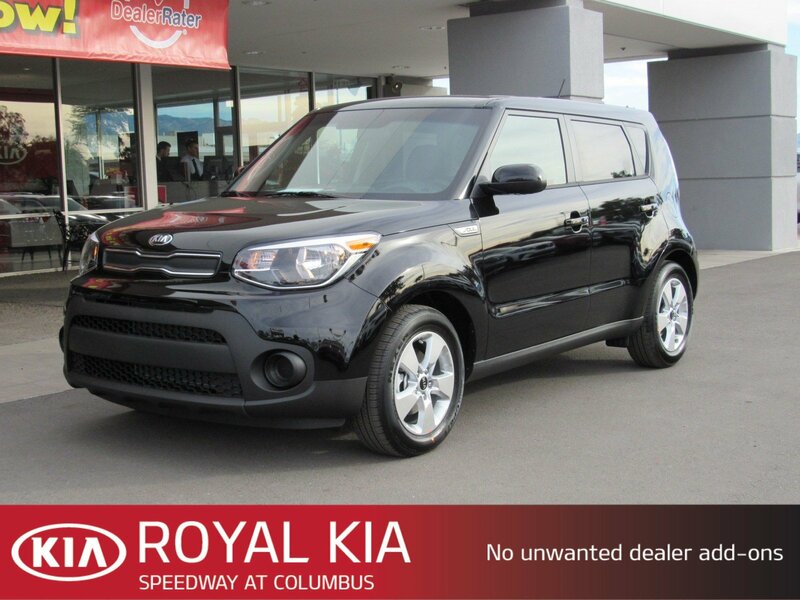 Highlighted Features for this 2019 Shadow Black Kia Soul Include 4-Wheel Disc Brakes, Aluminum Wheels, Steering Wheel Audio Controls, Bluetooth Connection, Auxiliary Audio Input, Bucket Seats, Traction Control, Stability Control, and a Backup Camera.Benefits at Royal: Non-commission consultants, 72 hr buy back policy, no fuzzy math & no pressure to buy before you are ready. You will get a highly competitive price without any of the dealership negotiation games. Read what other shoppers think of Royal by visiting www.dealerrater.complease visit us today at the corner of Speedway and Columbus to see how much more you may qualify for.